NOTE: I will be giving an all-day college workshop for parents of teenagers on Saturday Oct. 15 at the University of California, San Diego, that will focus on empowering parents and teenagers to make smart decisions on selecting colleges and making them more affordable. You can learn much more by visiting my landing page devoted to The Ultimate College Workshop. Sign up today! Every year, I love to dig into the latest issue of The Chronicle of High Education‘s almanac. While I cover the higher-ed world, some of the statistics that I find in the issue stun me each year. For instance, I certainly didn’t know this: 9.4 percent of all college students attend community college in California. This is not a typo! 1. While 347,985 students earned business degrees in 2009, only 15,496 grads walked away with a degree in mathematics. I find that sad. 2. One of the fastest growing degrees is in park, recreation, leisure, and fitness studies. During a 10-year period, the number of students earning degrees in this major (31,667) jumped 92 percent. 3. Among common majors, education experienced the biggest drop in interest among undergrads. In a 10-year period, the number of students earning an education degree declined 5 percent. 4. Only 0.4 percent of undergraduates attend one of the Ivy League schools. This confirms my long-held belief that way too much attention is paid to these eight institutions. 5. Twenty three percent of full-time undergrads, who are 24 or younger, work 20 hours or more a week. 6. Asian students (12 percent) are the least likely to work 20 or more hours a week. 7. About 9 percent of students attend flagship universities and other state institutions that conduct intensive research. 8. Seventy three percent of students attend all types of public colleges and universities. 9. Just 16 percent of students attend private nonprofit colleges and universities. 10. The annual family income of more than 47 percent of undergraduates is less than $40,000. 11. The annual household income of 4.5 percent of undergrads is at least $160,000. 12. Nineteen percent of college freshmen hope to earn a Ph.D., and 10.2 percent would like to become a medical doctor. 13. Among freshmen, 21.7 percent are conservative and 27.3 percent are liberal. 14. 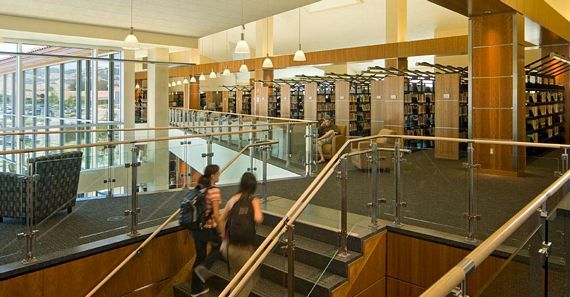 During a 10-year span ending in 2009, undergraduate enrollment has jumped 38 percent, with some of the highest growth occurring in Arizona (149 percent), Georgia (77 percent), West Virginia (56 percent), and Florida (54 percent). 15. Less than one third of Americans hold at least a bachelor’s degree, but at least 30 percent of adults in 16 states—mostly on the coasts—have earned a bachelor’s degree or higher. The three interior states among the 16 are Utah, Illinois, and Minnesota. 16. Between 1999 and 2009, undergrad enrollment at for-profit schools soared 539 percent compared with 32 percent for public institutions. 17. The largest state university in the country is Arizona State University in Tempe. The largest nonprofit private university is New York University. 18. About 3 percent of all undergrads are veterans and 1 percent are on active military duty or in the reserves. 19. Twenty percent of all first-time undergraduates take at least one remedial course. 20. Nationwide the number of high school graduates is expected to grow 10 percent in the next 10 years. The northeastern states will experience declines in growth, while high school grads will grow by 24 percent in both Texas and Florida. Lynn O’Shaughnessy is the author of The College Solution and she also writes college blogs for CBSMoneyWatch and US News & World Report. Learn more about The Ultimate College Workshop. I wonder if you will do a similar review for the 2015 Almanac? This is really interesting. Twenty percent of all first-time undergraduates take at least one remedial course. About 9 percent of students attend flagship universities and other state institutions that conduct intensive research. Nineteen percent of college freshmen hope to earn a Ph.D., and 10.2 percent would like to become a medical doctor. Less than one third of Americans hold at least a bachelor’s degree, but at least 30 percent of adults in 16 states—mostly on the coasts—have earned a bachelor’s degree or higher. Why is it surprising that 9.4 percent of college students attend community college? Have you yet considered why they go to community colleges? Financial? 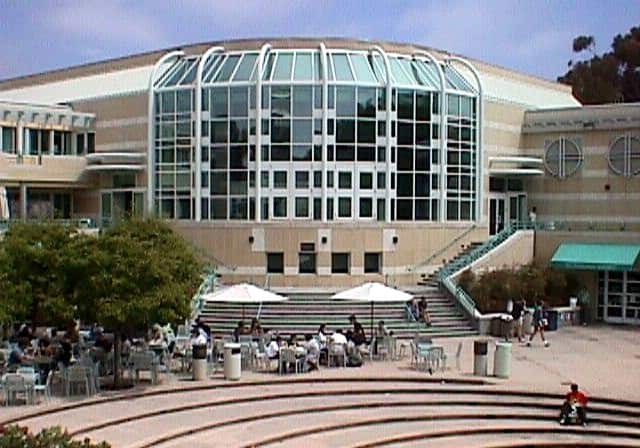 There are quite some good community colleges in California. 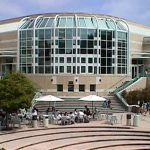 What is surprising is that 9.4 percent of ALL college students attend CALIFORNIA community colleges. That’s what is surprising.